The Government is facing a race against the Brexit “doomsday” clock, including the need to employ 1,000 extra full-time customs and veterinary inspectors as part of contingency plans. A package of grants to support industries which will be the hardest hit by Brexit, particularly in agriculture, will also be priced into next year’s budget. Measures to ease the impact of a worst-case Brexit scenario will need to be in place by early next year, the Government has warned. Turmoil in the British parliament and the lack of unity within the government there has sharply increased the possibility the UK could crash out the EU next March without any deal in place. It means the Irish economy and Anglo-Irish relations will be seriously damaged, making the outstanding matter of the Border even more intractable. Taoiseach Leo Varadkar issued a stark warning to Britain that it “cannot have its cake and eat it” and that aeroplanes may be grounded if there is no transition plan. If the UK leaves in March without completing the Withdrawal Agreement drastic changes will kick in immediately. A thousand customs and veterinary posts will be needed to manage the major administrative burden imposed by the UK leaving the EU’s customs union. 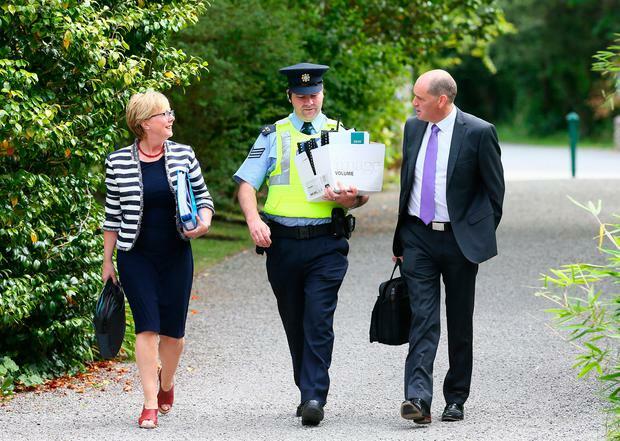 Sign-off for the massive recruitment drive was given by the Cabinet, which met in Derrynane House, Co Kerry, yesterday. Current and new staff will have to be trained, and the Government will have to invest in new data storage systems. The new jobs will be for the State’s six main ports and three main airports. The contingency plans will have to be ready by March next year when Brexit happens. However, there are concerns this deadline won’t be met. “We can’t employ and train 1,000 customs officers by March,” said one senior official. Brussels and Dublin are becoming increasingly jittery over the mayhem in the British parliament, triggered by dissent within the Tory party. Tánaiste Simon Coveney said British inconsistency over its Brexit plans was “very frustrating”. 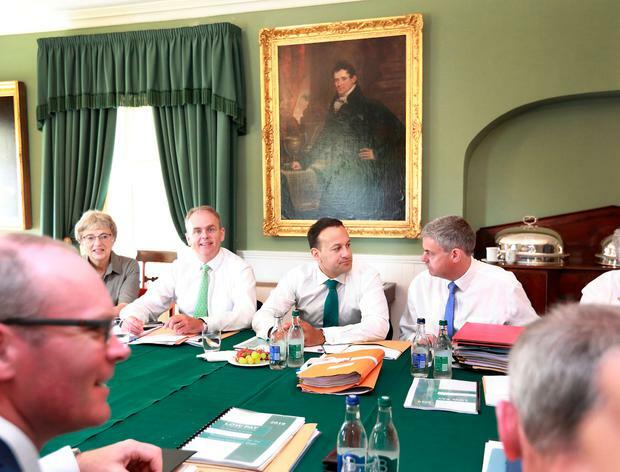 The Taoiseach said the Government has made a lot of preparations in case “the proverbial hits the fan” from the “shock” of a “disorderly Brexit”. Warning of a “doomsday” scenario, Mr Varadkar said: “Every country will struggle to put in place the necessary infrastructure and customs and veterinary officials in their ports and airports. It won’t be just us. “I can only imagine what the state of Dover will be in those scenarios – I know there’s some projections that suggest trucks backing up as far as the [M25] ring-road around London, in those kinds of scenarios. Obviously there’ll be a huge problem for Rotterdam. “So I think we all need to make sure we don’t end up in that kind of scenario, because everyone is going to need some kind of transition period – not just us. The UK will need it too; France, the Netherlands, Belgium,” he said. Britain will also no longer be part of the bloc’s common rules for aviation, the European Common Aviation Area arrangements. “You cannot have your cake and eat it. You can’t take back your waters and then expect to use other people’s sky,” added the Taoiseach. 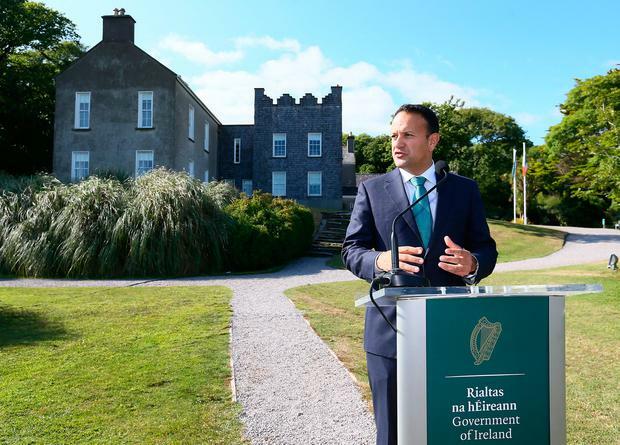 The Government reiterated its insistence that it will never erect a border on the island no matter the demands of Brussels or the World Trade Organisation. “We’ve made it abundantly clear that its something we can’t countenance,” he said.